CINCINNATI -- The newest beacon of hope for the region’s homeless youth soon will open its doors. 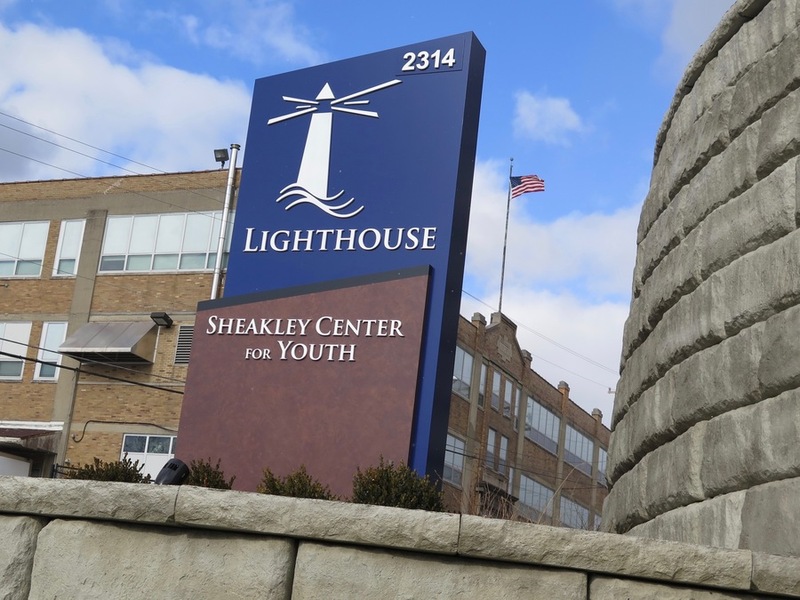 Lighthouse Youth & Family Services will begin operations at its new Sheakley Center for Youth in January. 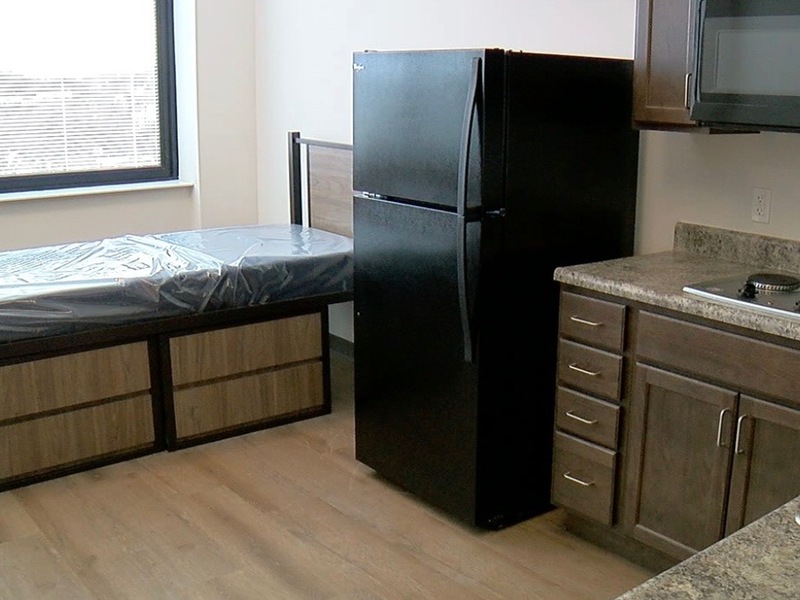 The $19 million facility in Walnut Hills will serve young adults between the ages of 18 and 24 who are experiencing homelessness. The shelter on the first floor of the new Lighthouse Sheakley Center has room for 36 homeless young adults. That’s an increase over the 28 shelter beds that the old Sheakley Center has, and that extra space is needed. In 2016, there were 825 people between the ages of 18 and 24 who experienced homelessness in Hamilton County, said Kevin Finn, the president and CEO of Strategies to End Homelessness. They accounted for 12 percent of the county’s homeless population, and that number doesn’t even include young people who are “couch surfing” or sleeping on friends’ floors. Lighthouse Youth Services helped house 48 percent of those 825 young adults, Finn said. The new Sheakley Center sits on a hill off Iowa Avenue and will have a light that shines from the tallest point of the building. Other elements of the building’s design aim to do that same thing, Moore said. During an exclusive tour of the facility before its Dec. 21 grand opening, Moore noted that shelter rooms have windows to provide natural light. The shelter also will have a large community room with chairs and ottomans that are easy to rearrange where youth can gather for planned programs or just to hang out together. 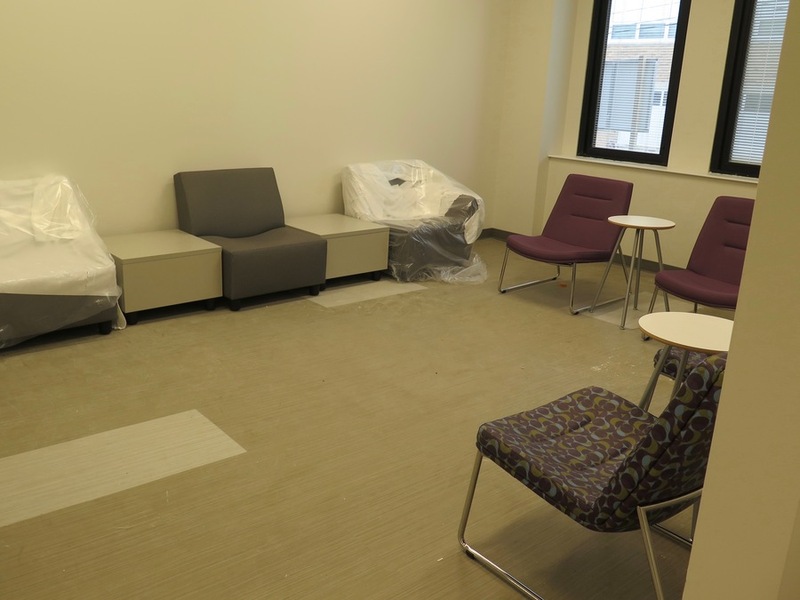 For young adults who want a less boisterous place to gather, the center also will have a quiet lounge. 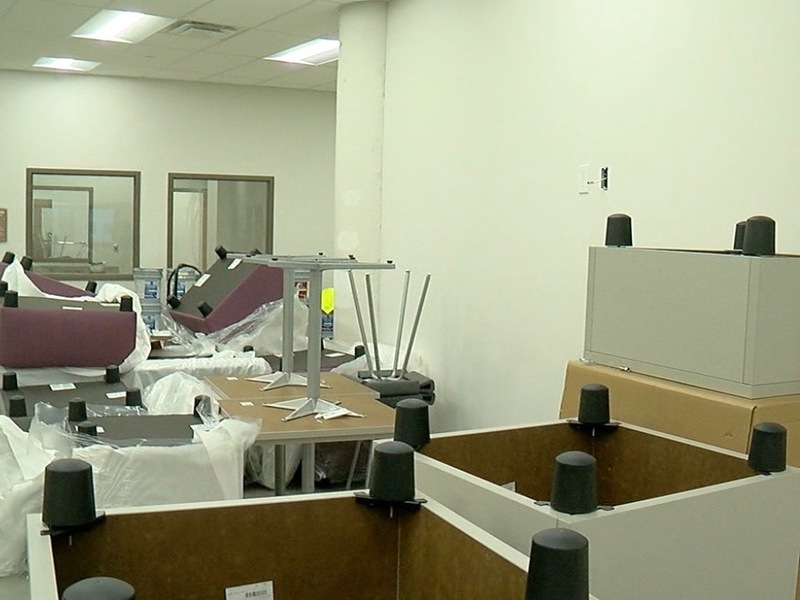 The shelter will have other amenities, too: A laundry room where young adults can wash their clothes; showers and bathrooms; and a clinic to provide basic health care. 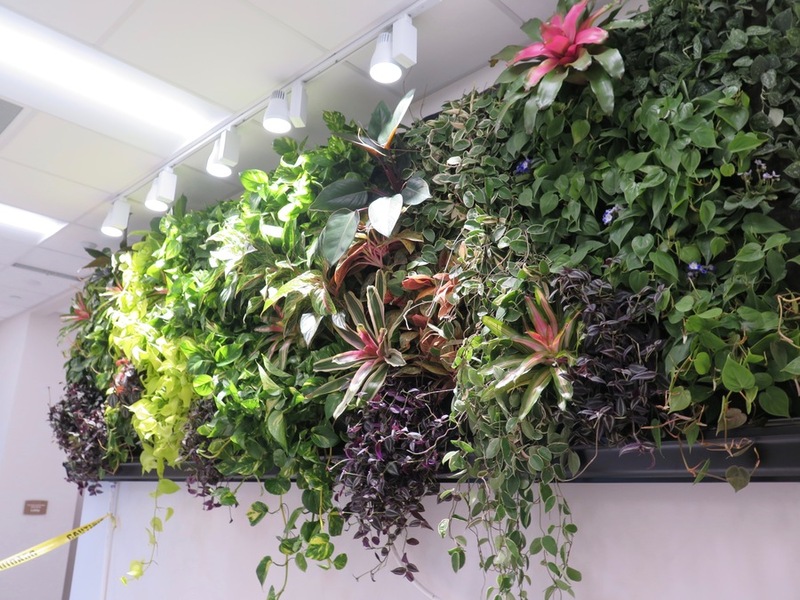 The green wall inside the center's main entrance. A resource center named for Mecum will be critical for helping homeless youth discover those possibilities. 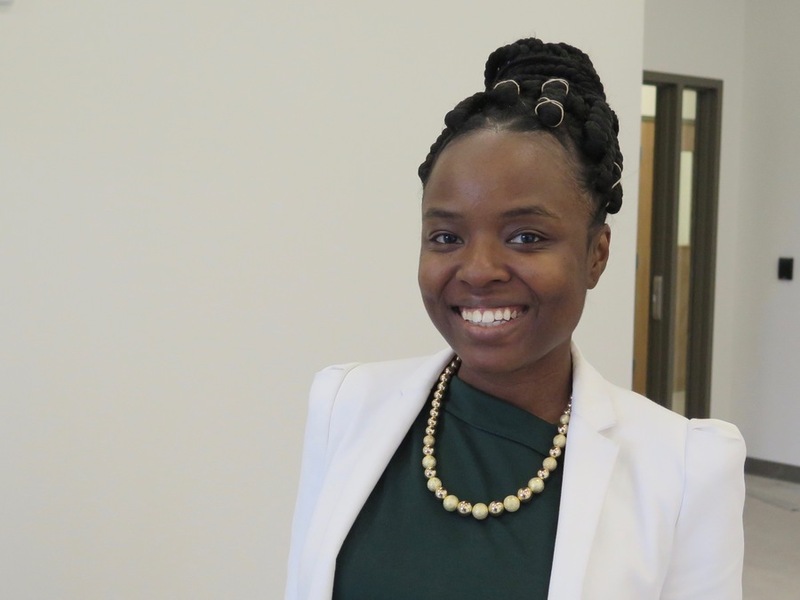 Staff will work with youth there to help them with the steps they need to take to get their lives back on track, whether that’s connecting them with educational services, helping them refine their resumes or helping them find jobs. But the new center is much more than a homeless shelter. The upper three floors of the new Sheakley Center are filled with 39 efficiency and one-bedroom apartments. Young adults who live there will be able to come and go as they please while they work with Lighthouse staff to become self-sufficient. Lighthouse will operate the apartments in addition to the apartments for young adults that the organization already owns and operates, said Cathy Goold, Lighthouse’s chief administrative officer. Each one has a full kitchen, bathroom and living room area. The one-bedroom apartments have a walled-off bedroom while the efficiencies do not. There are three fully accessible apartments in the building -- one on each of the three upper floors. 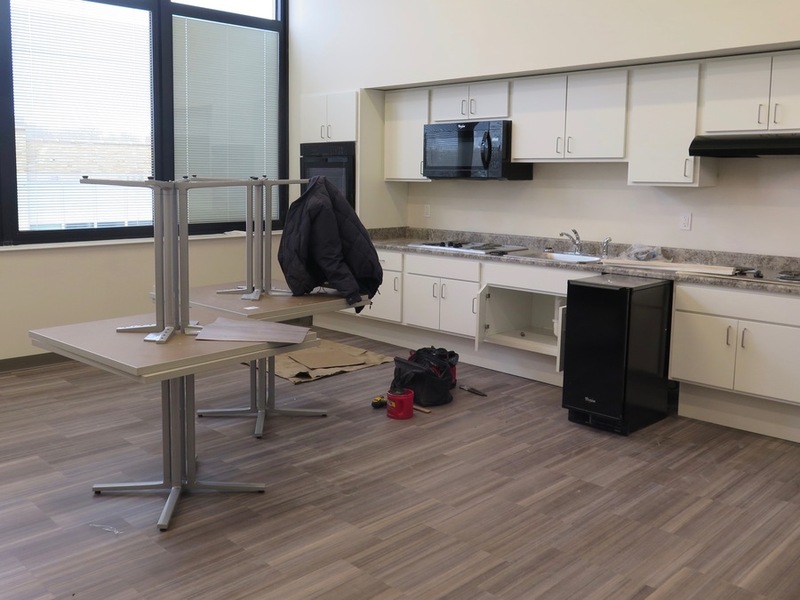 The third floor also has a “training kitchen,” where the young residents can learn how to cook and properly clean up their kitchens and other practical things, such as how long vegetables stay fresh in the refrigerator. Those kinds of programs are important for young adults because most never have lived on their own before, Finn said. “Very often, a young person is even less equipped to live on their own or to achieve independence because they have never experienced independence before,” he said. That lack of experience can make it even more difficult for young people to get out of homelessness and become self-sufficient, he said. And the streets are not a good place to stay because many of the local people who are chronically homeless are more likely to have severe mental illness or severe substance abuse problems, Finn said, and often aren’t the best mentors for young adults that have become homeless themselves. “Meeting their unique needs as quickly as possible is how we keep young, homeless people from turning into old homeless people,” Finn said. Lighthouse’s ultimate goal, after all, is to eliminate youth homelessness by 2020. Having the new Lighthouse Sheakley Center as a safe, supportive place is an important step toward that goal. This sign sits at the entrance of the new Lighthouse Sheakley Center for Youth. More information about Lighthouse Youth & Family Services and its programs for homeless youth is available online.